Face Painting & Balloon Twisting: Together at Last! 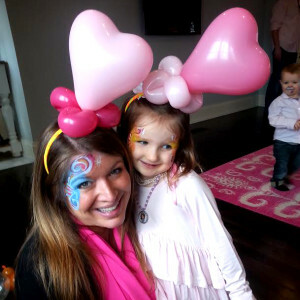 Can’t choose between having face painting or balloon twisting at your upcoming party? You don’t have to! 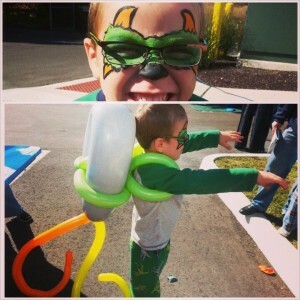 Our artists are some of the only face painters and balloon twisters in CT, MA, RI, NH who can provide both. Small parties looking for multiple activities. For parties of less than 15 kids, we can send over one artist to do both face painting and balloon twisting in two hours. When you consider that kids only have one face so they can only spend so much time entertained by face paint, adding on balloon twisting is a great way to keep kids occupied for longer. Learn more about why moms love us here! Larger parties looking to impress their guests. We can send two professional artists to do both face painting and balloon twisting. This is great for large parties over 25 kids. What’s really fun is that our artists can match their face paint and balloon designs together. Sam wants to be a pirate? We can twist him a sword to go with his face paint! Lily wants a butterfly face painting? We can twist her some wings to wear with it! Together, our balloon twister and face painter have twice as much impact on the kids and adults. 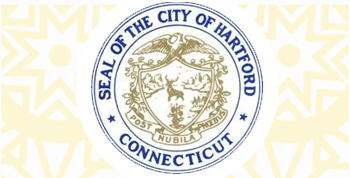 Kaleidoscope is the first-choice of corporations and small businesses around CT, RI, NH MA! Events with mixed-aged groups of children. Kids under 3 can often be shy or wiggly with face painting. Likewise, sometimes teenagers aren’t interested in balloon twisting. For events where you have everyone from toddlers to teens, mixing up the entertainment is a great solution. Just ask! Anywhere you’re trying to keep kids entertained for most of the event. We can have one of our artists entertain for anywhere from an hour and a half to five, six, or seven hours! Having one of our artists come for multiple activities is also a great way to save money, instead of hiring multiple artists for your event. Any other combination of party entertainment you can dream of! 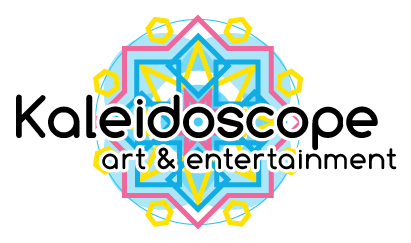 Call Kaleidoscope to get a quote today, or use the handy form on the right. We’d love to talk more about your party!